The Bureau of Reclamation released its one hundred page announcement describing the specifications and plans for construction of the Boulder Dam, the powerhouse and appurtenant works. Those wishing to bid on the project had to provide two million dollars with the bid, and the winner would have to provide a five million dollar performance bond. The fallout of the Great Depression caused financial hardhips for many businesses, including those in the construction industry. Many companies were interested in gaining the contract and its financial rewards, but after reviewing the complexity of the plans, realized that they, alone, could not accomplish the work. Larger companies felt that they had the capacity to complete the work, but lacked the monetary resources to finance the bid and the bond. These construction pioneers were born of that rugged individualism that civilized the American West. They did not like partnerships, preferring instead to "go it alone" so that control of a project was complete. Yet, even these giants had to finally realize that they could not make this project, construction of the world's largest dam, work without the pooling of financial resources and talents of several companies. The Wattis brothers of the Utah Constructin Company wanted the contract, but could only put up one million dollars towards the bond. The Morrison-Knudsen Company, that they had worked with in the past, put up one-half million. Next, Charles F. Shea of the J.F. Shea Company of Portland, Oregan joined the group and contributed an additional one-half million. Shea then suggested bringing Pacific Bridge, also out of Portland, into the fold at an additional one-half million dollars. From San Francisco, California came the MacDonald & Kahn group with one million dollars to add to the pot. The remaining 1.5 million dollars of bond money was added when the Kaiser-Bechtel group was invited to join the consortium. Thus, on February 19, 1931 as a Delaware corporation, the "Six Companies, Inc" was born. William H. Wattis, the senior person in the group was made president, W. A. Bechtel vice president, Charles Shea secretary, and Felis Kahn treasurer. 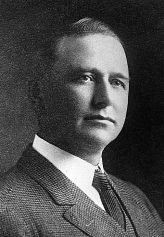 Frank Crowe was chosen to be the general superintendent of construction. The Six Companies was formed with little time to spare, since the bids submitted for the project would be opened on March 4, 1931. A lot of work had yet to be done to finalize the company's bid.